In the unlikely event a threat slips past one security layer, others are waiting to catch it. And cloud-based artificial intelligence constantly updates it all against emerging threats. Click below to see how this adds up to the best-ever protection for you and your PC. Steering clear of malicious websites is probably the best way to prevent infection. And all our PC security products help you do just that. Our Online Security browser extension automatically redirects you to the correct site if you mistype a URL and warns you if you ever land on a malicious website. Real Site (available to paid users) goes a step further by protecting you against hacked routers that use fake DNS (domain name system) settings to redirect you to fake websites. Real Site uses Avast’s own secure, cloud-based DNS settings to bypass vulnerable router settings and ensure that you don’t unwittingly give your passwords or bank info to fake sites. Even legitimate websites can get hacked, so we scan every piece of data that travels to your computer. The scan is so insanely quick, you shouldn’t notice any slowdown when browsing. Web Shield blocks known malware from downloading to your PC while you browse the web. Email Shield works with installed email clients like Outlook and Thunderbird to strip malicious attachments from messages before they’re downloaded to — or sent from — your PC. In the unlikely event that you ever manage to download malware, don’t worry. We won’t let it harm your PC. Whenever you execute a file, File Shield immediately scans it. If the file is malicious, it’s safely moved to our Virus Chest to prevent it from harming your PC (or spreading to other PCs). On rare occasions, a persistent piece of malware may sneak through the usual antivirus defenses. Thankfully, Avast is just as persistent, and never stops watching for malicious behavior. Behavior Shield uses advanced artificial intelligence to monitor all running apps in real-time for malicious behavior. If any is detected, Behavior Shield immediately stops the app and locks it away in our Virus Chest. Any malware still around faces another hundreds of millions of layers of security. The more users we have, the stronger we become. That’s because each of our hundreds of millions of users acts as a sensor to detect even the newest, never-before-seen forms of malware. If you try to open a file that we don’t recognize (and might be dangerous), CyberCapture will block it and upload it to our servers for deeper analysis. If it’s malicious, we’ll push a cure out to you and our hundreds of millions of users. Our free antivirus already stops ransomware thanks to each security layer above, but Internet Security and Premier go a step further by giving you an additional layer of ransomware security. 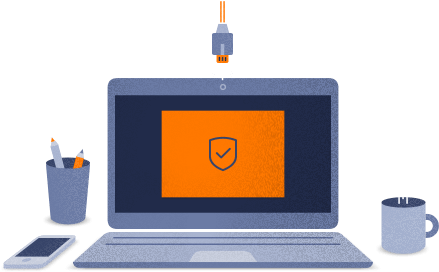 Ransomware Shield (available only with Avast Internet Security and Premier) stops both ransomware and untrusted apps from changing, deleting, or encrypting personal photos and files in your protected folders. And that’s how robust Avast security is.